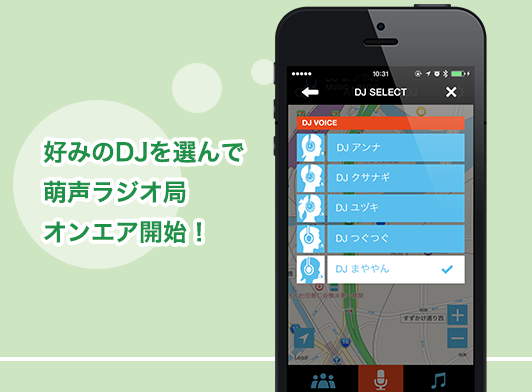 Driving with DJ! 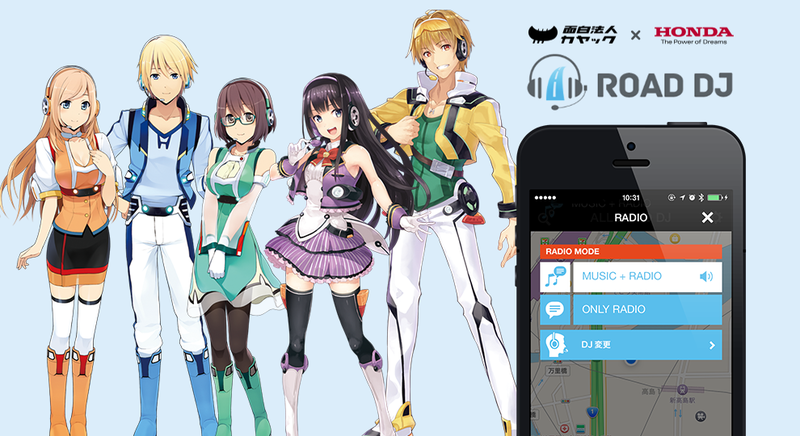 Featuring both famous voice-over actors and koebu users! 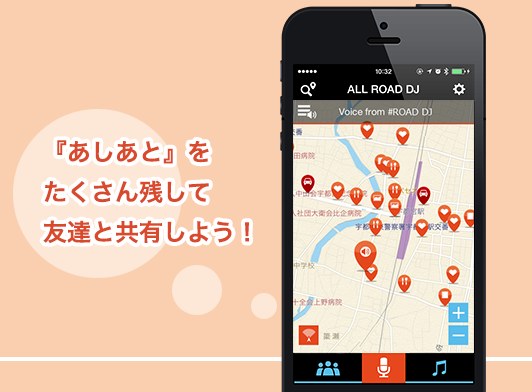 ROAD DJ is a smartphone app in which a DJ offers driving topics as a supporter who brings drivers and cars together. KAYAC was in charge of offering ideas, planning, directing, casing professional voice-over actors and koebu users, recording, and preparing scripts. 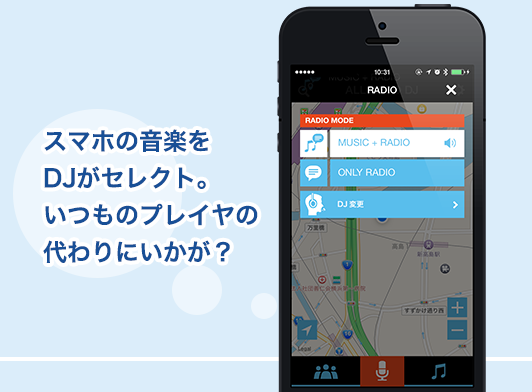 Your favorite DJ offers timely and seasonal topics like a radio. 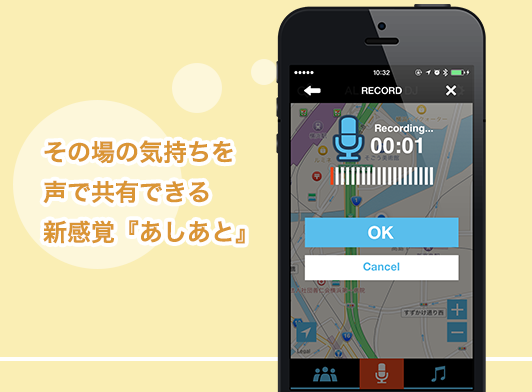 Using a “footstep function,” you can record your feeling and traffic information while driving and share it with your friends in the app. Users of KAYAC’s voice community koebu joined the project to complete the narration in more than ten days of studio recording sessions. KAYAC also developed unique DJ figures and scripts with the character count of nearly 110,000. You will never be tired of using the app.